This adorable Booty Veil attaches to any swimsuit or skirt and will make your Bachelorette or Bride stand out! 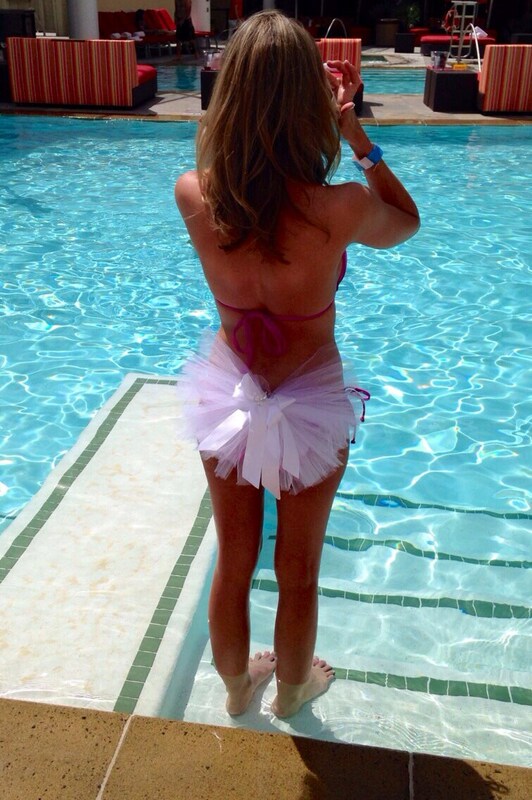 It's great for pool side bridal showers or for your Las Vegas Bachelorette Party! The Booty Veil is made of durable tulle with a satin ribbon, and the center is embellished with crystal, rhinestones and a feather. 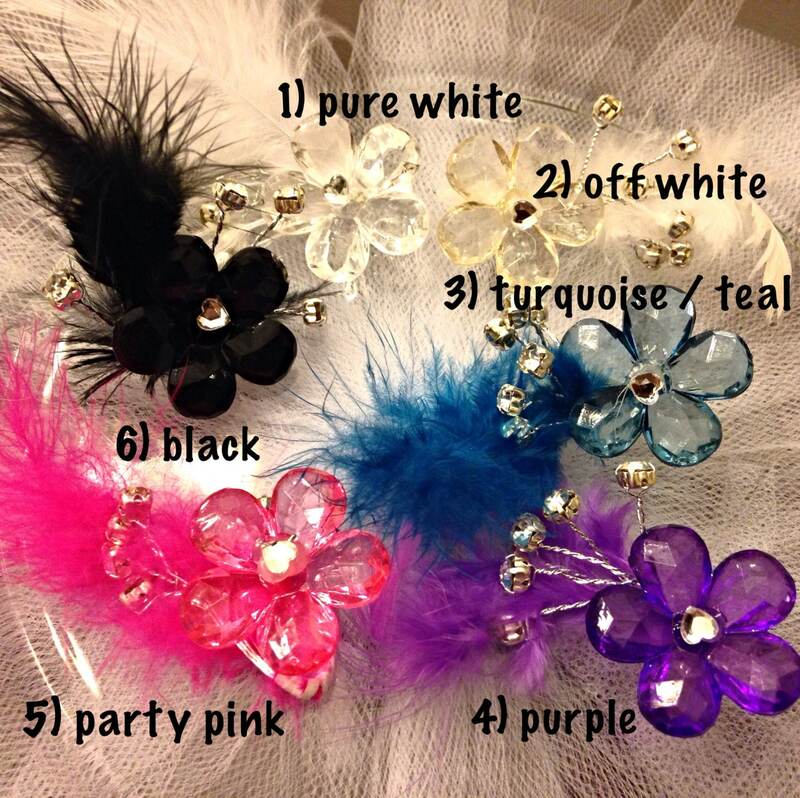 You can choose the color of the center embellishment.